Another Alan Gratz book for the win! 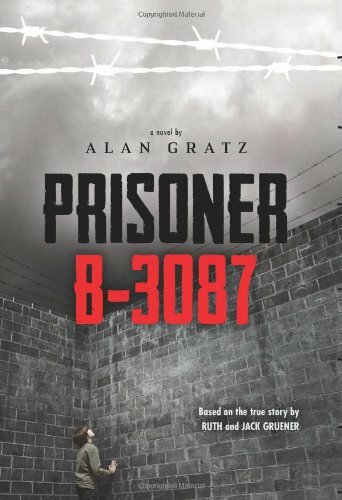 The previous two books I have read and reviewed by Grantz (Refugee and Projekt 1065) blew me away, and Prisoner B-3087 lived up to the high bar I have set. Yanek Gruener is 10 when the Nazis come to occupy his hometown of Krakow, Poland. Slowly but steadily over the next two years the Nazis strip the Jews of rights, close their shops, steal their valuables, until finally sending them off to the dreaded "relocation centers" or concentration camps. Over the next four years, Yanek is shuffled between 10 concentration camps. He is starved, beaten, separated from loved ones, and worked almost to death; but still he survives. This harrowing tale gives the readers a first hand look at horrors no person, let alone child should endure; based on the true story of Jack Gruener. Like the previous novels, this read was absolutely heartbreaking but infused with a strength and resilience that is undeniable. I found another strong character in Yanek, facing not only the brutal fight to survive in what is arguably the most horrific experience in modern history, but the battles he wages with himself between keeping and loosing his own humanity in his fight to survive. Gratz's ability to depict such harsh subject matter in a way which is so layered and nuanced with other important lessons is truly remarkable, making his reads that much more powerful. Gratz is for sure on my auto-buy list, and I HIGHLY recommend you do the same! This week I have another Alan Gratz novel and if I wasn't already before, I am officially, 100%, hooked for life on anything Gratz publishes, ever. Refugee tells the tales of three children throughout history, fleeing their dangerous and warn torn countries in the hopes of finding safety elsewhere. Josef is fleeing Nazi occupied Berlin in 1939 with his parents and young sister aboard the St. Louis bound for Cuba. Mahmoud is on the run from present day war-torn Aleppo with his parents, brother, and infant sister. Isabel boards a rickety homemade boat in the 90's with her parents, neighbors, and grandfather in the hopes of reaching el norte, Miami and life of freedom and possibility. Each child faces obstacles and setbacks throughout their journey. Devastating loss and unimaginably tough choices are forced upon these children, these families. While not biographical accounts, they are based in fact and are bits and pieces of real stories, of real people, fleeing unimaginable horrors in the search for a better life, all them hard hitting and raw. It was amazing how relatable each character was. While spanning different eras, different cultures, different struggles, their humanity bound them together. They each had hopes and dreams for a better life, love for their families, unimaginable courage in the face of adversity. They once had friends, played games, watched TV, played with toys and yet faced such terrifying obstacles to living the simple, happy lives they were meant to live. One of the things I enjoyed most about the book was how each story was in some small part connected. It really highlighted the point that we are all, as a human race, connected in some way or fashion and the choices of our actions ripple throughout not only our life, but generations of lives. It is really quite powerful to sit back and look at a novel which spans so many decades and generations. These stories were touching and heartbreaking but most of all, important. Mahmouds story is all too relevant in today's time. 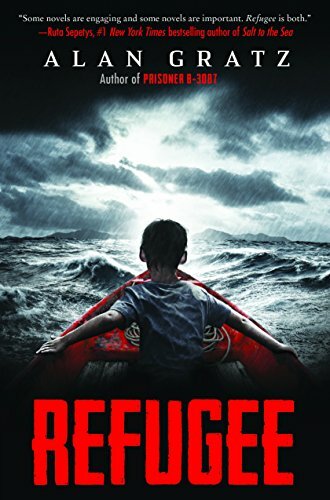 The United States continues to wag war on refugees in the political sphere and books like Refugee are important to putting a face, a story, an actual human being, to the elusive word, "refugee". Stories like Josefs, Isabels, or Mahmouds could be our own; we are only separated by good fortune of circumstance. Look for the invisible, the forgotten, and help. You can get your copy of this book on Amazon by clicking here.